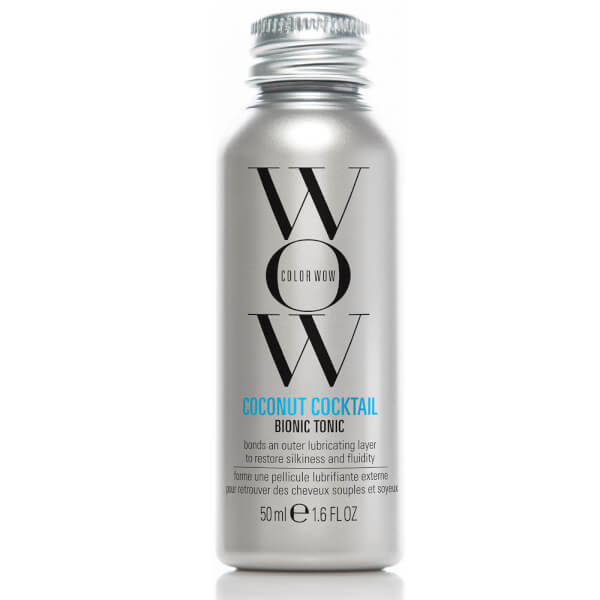 Restore colour-treated hair with the travel-sized Color WOW's Coconut Cocktail Bionic Tonic, a leave-in treatment that bonds with hair to keep locks moisturised and protected. Shake bottle well before opening. 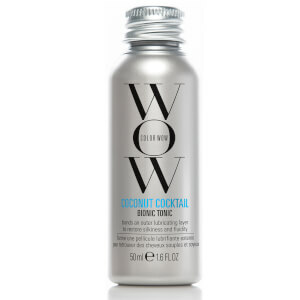 Apply to lightly towel-dried, damp hair. Pour a coin-size amount of product into palm, rub palms together then smooth throughout hair, concentrating on lower sections and ends where hair is most in need of moisture. Comb through. Do not rinse, style as usual. Use daily or as needed.